This year’s 36th Annual Deutsche Marque Concours d’Elegance will soon be upon us. 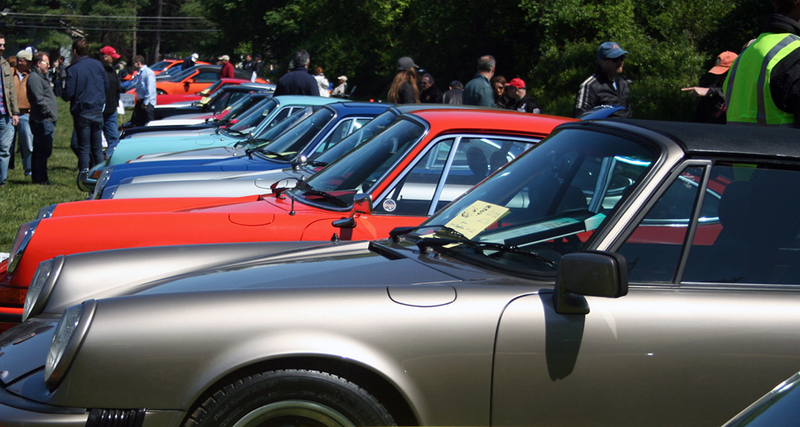 Billed as the Potomac Porsche Club’s premier annual concours and hosted along with the DC Region’s Mercedes Benz Club and BMW Club for its 36th year, this is a great time to view some of the areas nicest German automobiles. Bring your Porsche out to the show to compete for awards and to display. The all-day event is complete with car displays, food and merchandise vendors and followed by an awards reception. Porsche of Tysons Corner is our new major sponsor this year and we want to thank them for their generosity and the exciting new plans for the show! Join us again this year as we expand to a three-day scenic weekend tour of Southern Maryland's back roads, lighthouses, museums and of course, a winery! This year, we will visit two different lighthouses than before (hence "Lighthouse Tour II"). These will be Piney Point and Drum Point (at Solomons). Also this year, we will visit the Patuxent Naval Air Museum. Then we'll wrap things up on Sunday with a visit to the Running Hare Winery and Vineyard ("A little bit of Tuscany and Napa in Southern Maryland") and the adjoining Calvert Brewery. Friday June 7, we will meet for brunch near Bowie, then head on an epic drive toward the bay, stop for ice cream, and head down to the historic Piney Point Lighthouse (1836) Museum and Historic Park (county park). We'll stop here for a while and enjoy the oldest lighthouse on the tidal Potomac -- and you can climb it! 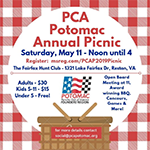 Please join us for PCA Potomac's Annual Picnic and Open Board Meeting on May 11, 2019 at The Fairfax Hunt Club conveniently located in RESTON, VA. We will have access to corn hole, volleyball, horseshoes and a full covered picnic area with indoor restrooms. All-Porsche Fun Concours! Just bring yourselves!